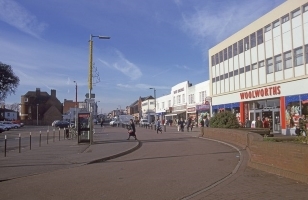 Arguably the most important street in the town, West Street forms part of the route between Southampton and Portsmouth. It was designated A27 in 1922, and lost this status in the 1970s to Western Way. 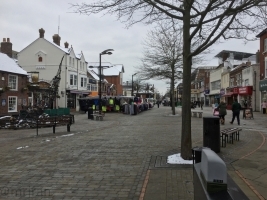 It is the single street from which the rest of Fareham grew. Historically it was a dirty road, dusty and littered with faeces and sewerage. In to the 20th century, it became dominated by traffic. 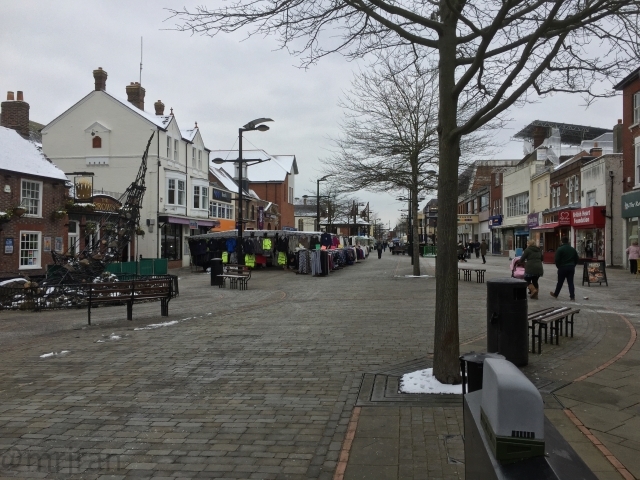 Initially this wasn't a problem because, while it was unpleasant, Fareham thrived on the bustle, but eventually changes were required. 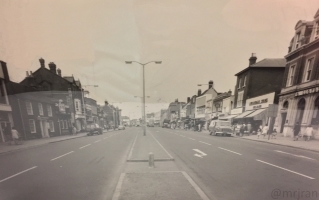 Today it starts at the Station Roundabout, meeting The Avenue (historically called Tichfield Road) and Station Approach. The original start of the road would have been somewhere here, probably tied in to the West End tram terminus. 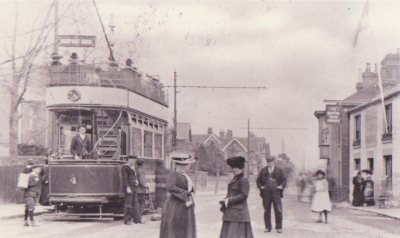 The tram terminus was an accident blackspot of its time, not helped by it having no buffers, causing vehicles to overrun. The trams ran from 1906 until 1929 and ran every 15 minutes. Confrontations between trams and cattle became big problems on this street. 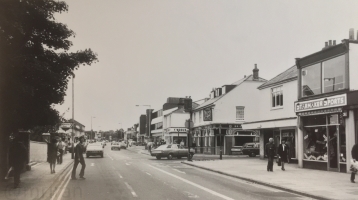 This part of town is now slightly detached from West End (which is better associated with the area around Bishopsfield Road, the bigger one in Southampton or the even bigger one in London), but that is what it was known as, and there was the West End Inn to prove it. 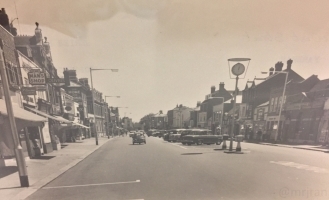 This was moved in the 1940s, and then knocked down to build the roundabout. The street name doesn't come from that, but simply from the fact that it is the main road west. 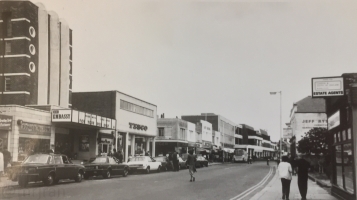 That said, there was a short gap in development between the hotels around the Station Approach junction (originally a sharply angled t-junction), and the actual shops along West Street, which didn't begin until where Crescent Road is today, so it's possible that the road didn't actually stretch that far. Houses on the north side were built in stages at the end of the 19th century, while the south side was never really properly filled in, with a garage coming along in the 1940s. 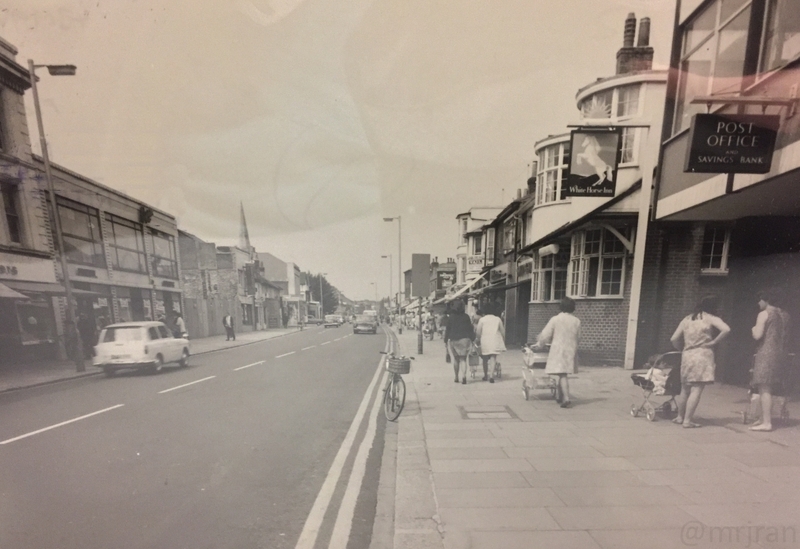 Crescent Road was once a crescent-shape (albeit with a lengthy extension at one end for access to the tennis courts which became more housing), but the western entrance was cut-off when the houses there were demolished. The Gillies, and the path leading to Redlands, has been there at least as long as the railway has. 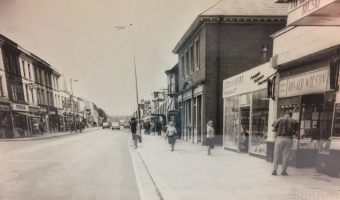 Houses were added here at the very start of the 20th century, along with a coaching firm. The houses were used mainly by naval officers and their families, and some of them had the ground floor converted into shops. 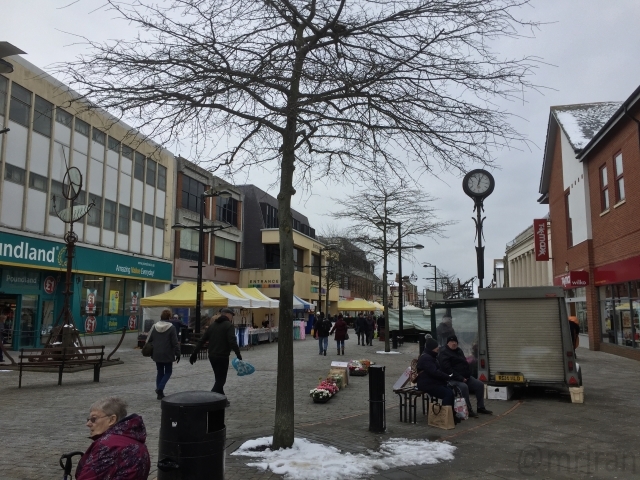 The section through here wouldn't have been that different all those years ago, except perhaps with a greater variety of shops and trees lining the pavement. 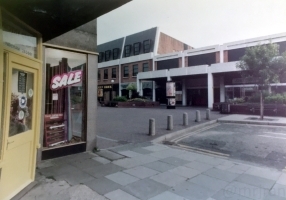 The large numbers of small shops down this end all lasted until the late 1970s, when the shopping centre opened and directed people away from this end of town. On the corner of the Trinity Street junction stood the Royal Oak pub (with barn), now the Volunteer Centre, with a grand restaurant opposite. Some of the restaurants around here, such as the Wimpy Bar and Tsung Sing, were the first of their kind. Holy Trinity Church was built in the mid 1830s and gained its distinctive spire in 1841, but this was removed in 1992. The one way system here would have probably been introduced in the late 1970s to control shopping centre traffic. 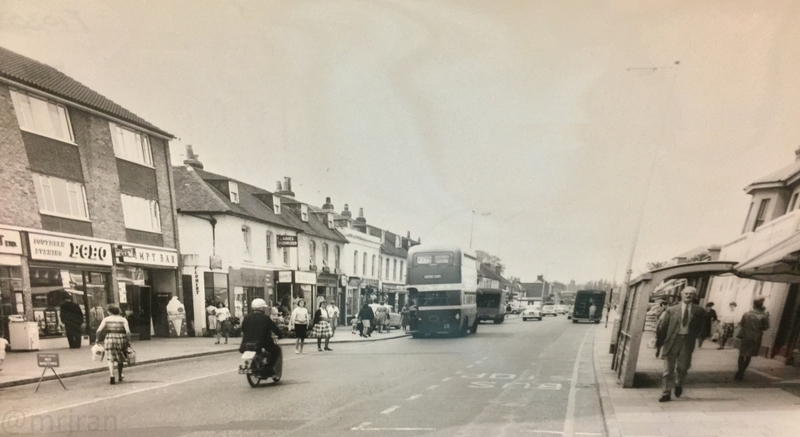 Traffic lights were added here and all along the road in 1965, as high levels of through traffic made it difficult for people to join the road. 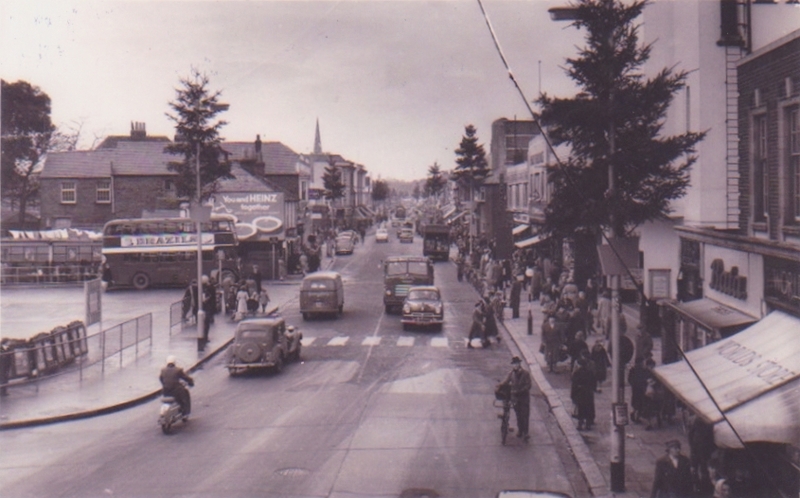 The Grove Road junction was due to get traffic lights too. Here, the road began to widen, with the main tramway still running down the middle. 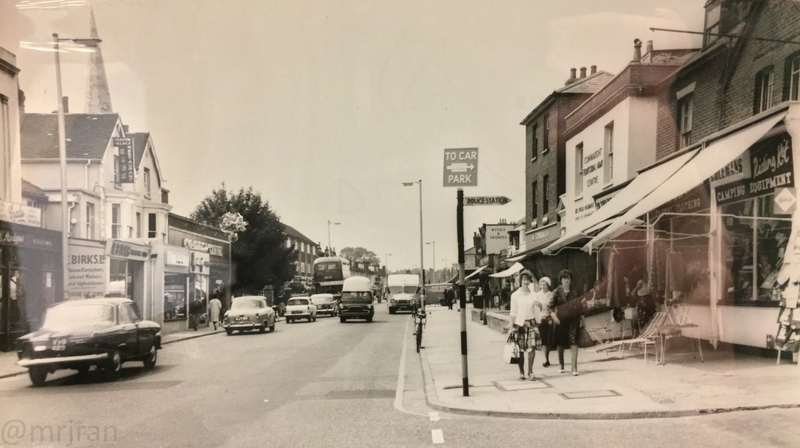 On the corner of Osborn Road South was a large butchers, now several shops including a bank. 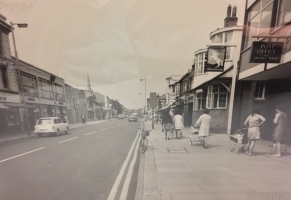 A shoemaker stood where King's Road joins today. Many of the buildings here were still houses, with front gardens, which have proven useful as the pavement was quite narrow. 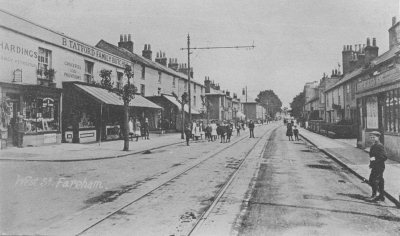 Lord Arthur Lee - with the Wetherspoons pub named after him - was elected MP for Fareham in 1900. In 1921 he donated Chequers to the country for Prime Ministers to use, and the building next to the pub is called Chequers House. 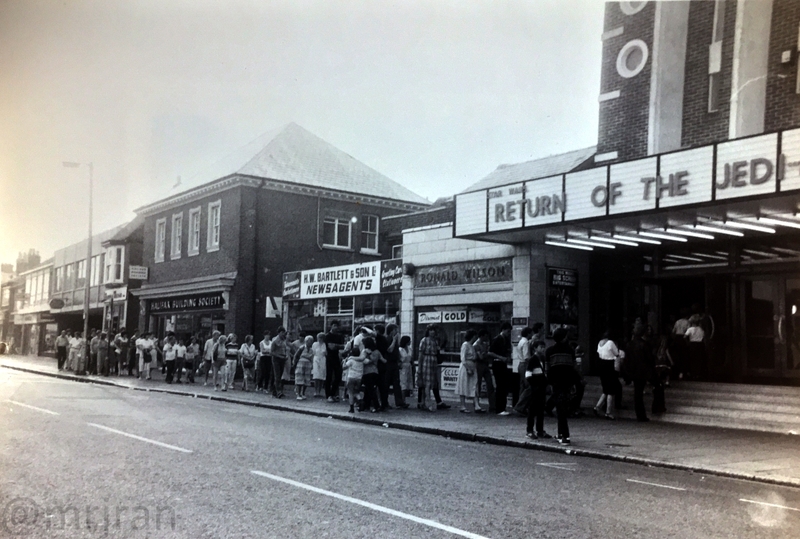 The main body of West Street carried two cinemas which were icons of their time. The grand Embassy stood close to McDonald's today, opened in 1938 replacing the Alexandra Theatre from 1906, and it closed in 1983. The Alexandra Theatre itself replaced the Electrical Threatre. 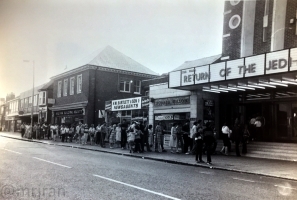 Savoy Cinema stood where Woolworth's (now Family Bargains) was, opened in 1933 and cost £25,000 (£1.4million in 2012) to build, and closed in 1959 - it had the added benefit of a restaurant. The two were almost always run by the same company. The associated Savoy Buildings is now one of the most dramatic buildings in the street, originally intended to be a mini shopping complex, and home to the original Woolworths. Westbury Manor, now the town's museum, was originally a workhouse. 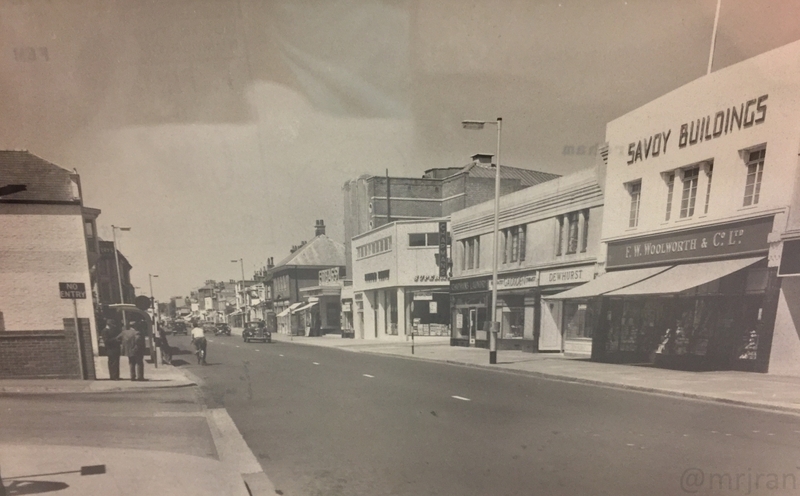 It was home to Dame Madeleine Eva Waistell and in 1932 sold to Fareham Council as one of their many council buildings, which were all moved to the new civic offices in 1972. With the building unused, it was listed and became a museum in 1990. In World War II it functioned as an Air Raid Control Centre! Today almost all traffic turns down Hartlands Road. 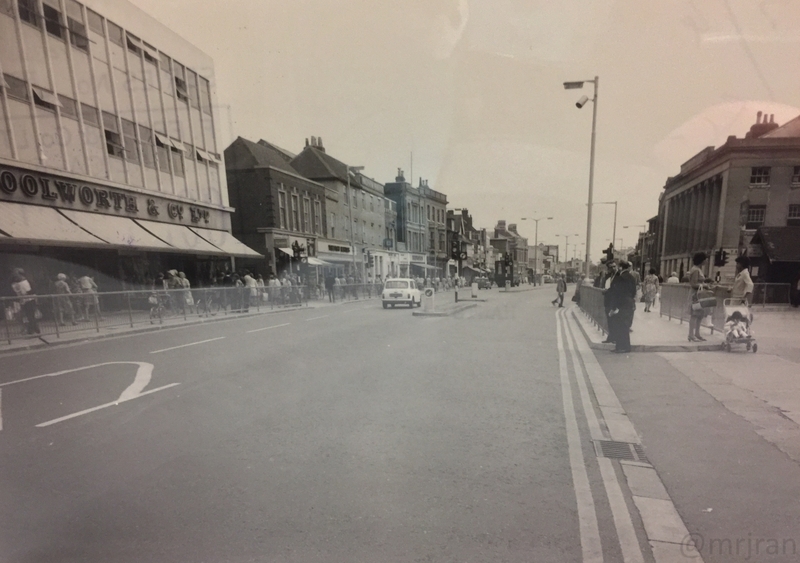 In the 1970s this would have been for up (northwards, inwards) traffic only, with down (southwards, outwards) traffic continuing until the erstwhile Portland Street. 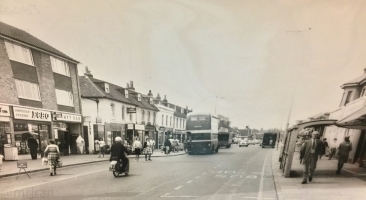 At the Portland Street junction (roughly where TK Maxx is today) was the original town bus station, more of a yard by today's standards, located in the south-western corner, which was built in 1931 on the site of Thackery Cottage and demolished in 1993 as the town's plans would have had it isolated. It also replaced a library which was built in an old house. Prior to buses, the tramway to Gosport turned down Portland Street. 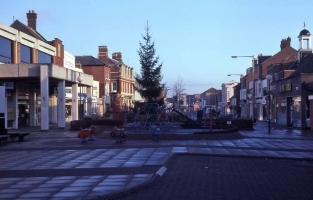 By the 1960s this was a signalised junction, with West Street itself being a dual carriageway, but by the 1980s all traffic had to turn south as the road east of here was for pedestrians only, and in approximately 1993 the whole of West Street was pedestrianised, leaving only the small stub up to Nationwide. 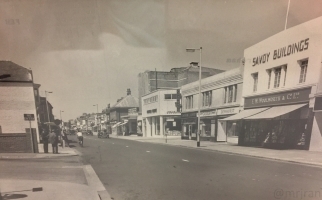 Savoy Buildings with Woolworths in the 1950s, Embassy Cinema ahead. 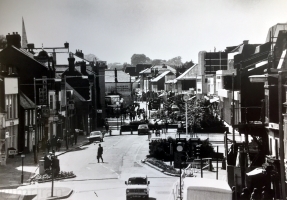 In 1835, one of the new buildings built to symbolise Fareham's move from small village was Portland Chambers, which then became the Town Hall, Corn Exchange, Portland Hall, a post office, a bank (Portsmouth/Trustee's Savings Bank) and a solicitor's. It has housed a library, reading rooms, lecture rooms, and meeting rooms. 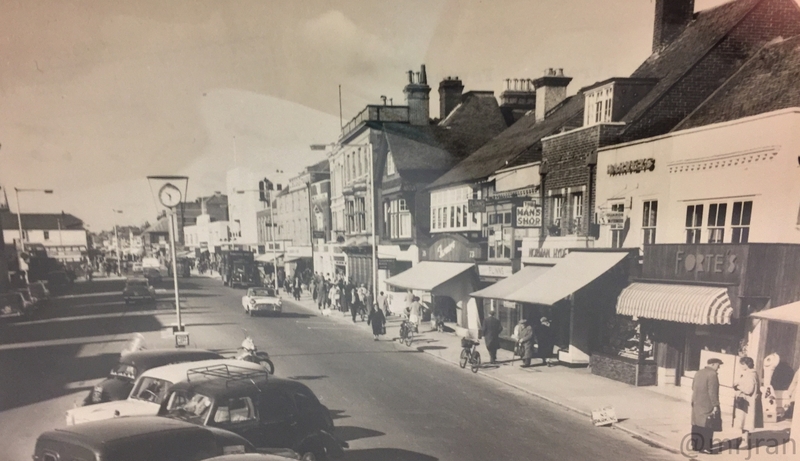 Alongside, a gap in today's buildings would have provided access to the cattle market - in the 18th century this would have happened on West Street itself, but disruption and runaway animals saw that it was moved offsite. Somewhere in this area was a pen for owners to claim their escaped cattle, subject to paying the appropriate fee (think 'car pound of the 1900s'). This, in case you couldn't tell, is where the Market Quay complex takes its name. Market Quay was built in 2005 to replace what was mostly car parks and dilapidated buildings until then. 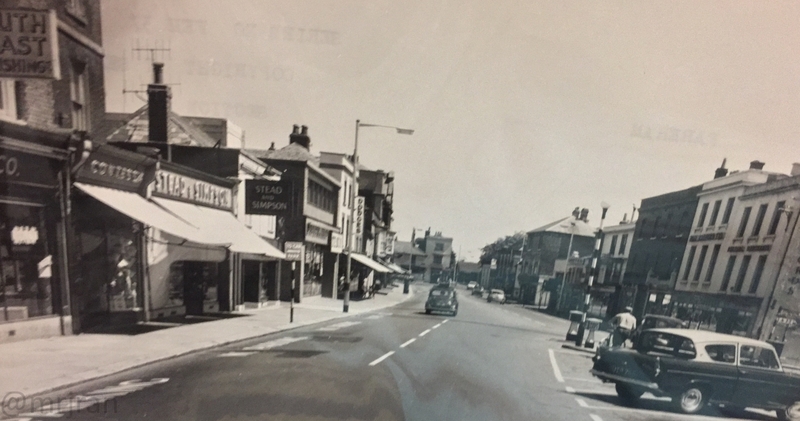 Prior to the shopping centre opening, there was an alleyway here called Western Lane which lead to the library and dentist, hall and unemployment centre, and before that The Flying Angel Seafarers Club. As a sign of how much Fareham once relied on West Street, the original Price's School was here, on the south side, and that was replaced by a fire station in 1910. The school was built on the instruction of William Price's will, who wanted the house where he had lived to be used as a school for poor, local children. This happened, and it had an excellent reputation, before opening to boys only. It then moved to Park Lane in 1906. Cawte's Place served a number of smal buildings, which were knocked down in the 1950s. The Cawte Brothers had taken over the 19th century Crown Brewery in 1870. 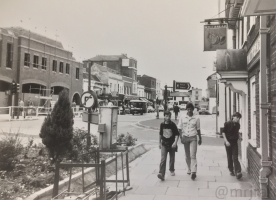 At the start of the 20th century, this became The Crown Inn. 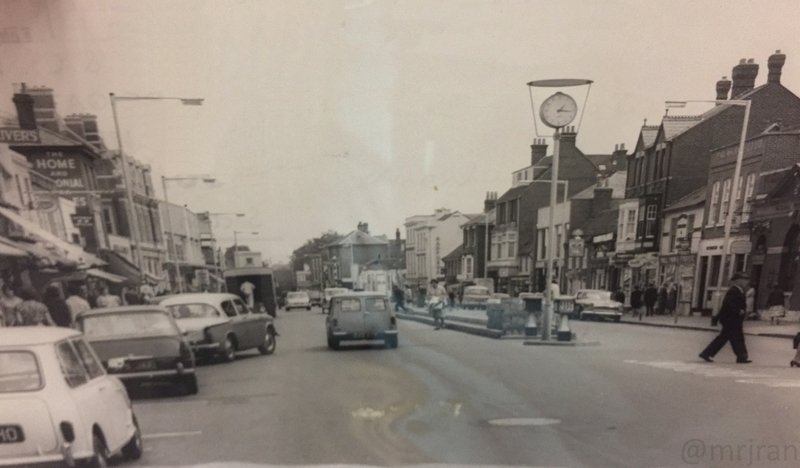 The town clock in the 1950s, surrounded by cars. 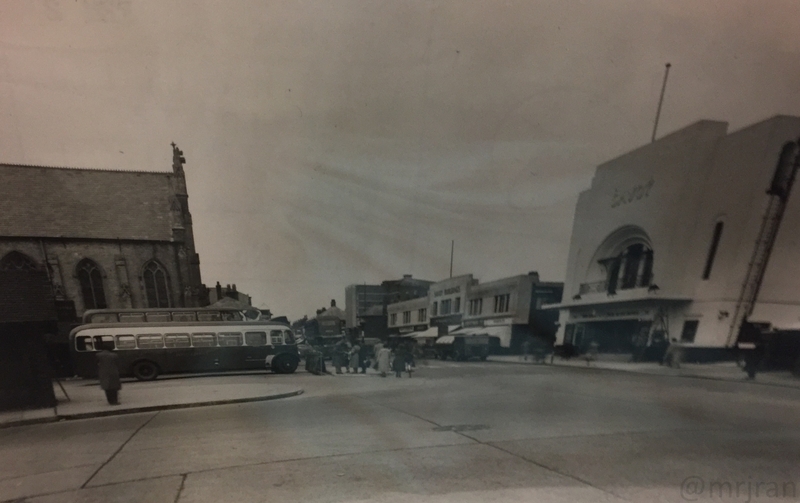 Looking east now, still around the 1950s. A couple of years later and again the effect of traffic can be seen. By The Crown in the late 1960s, and it's clear the car is going to be king. Roughly the same spot, looking east. The clock was taken away as part of the 1960s upgrade. 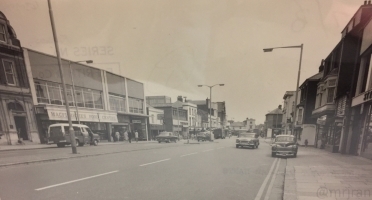 The Quay Street junction in the late 1950s, where the precinct ends today. Lots of street furniture here. 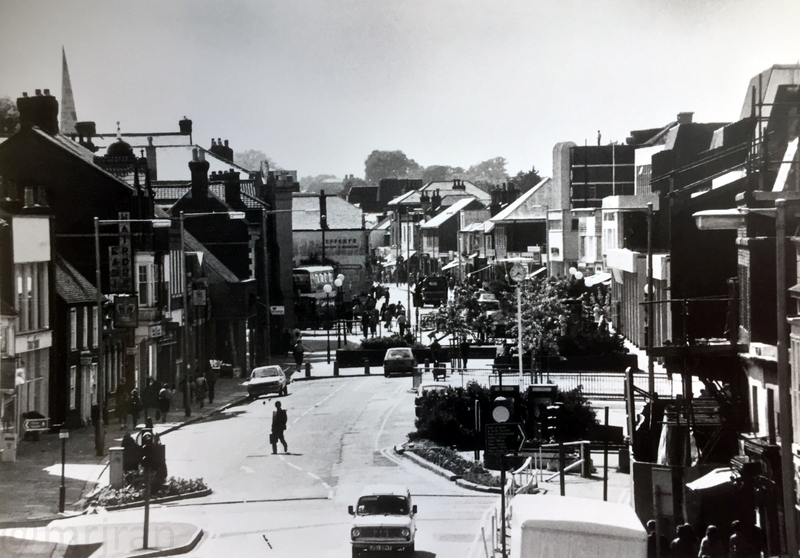 Up to the Quay Street junction, the road became adapted to allow for parking on either side and down the middle. At one point there may have been buildings down the middle to facilitate trading. Quay Street was another "down" road, changing to "up" in the early 1980s, after pedestrianisation, which left another short stub of West Street accessible for parking. This was removed in 1999 to create today's corner, and an inbound bus route was created at the same time. Church Path met opposite, now consumed by the shopping centre. The Pyle's family bakery lent its name to this, becoming Pyle's Alley. The Pyle family owned several stores in this street, but the bakery became a Tesco. A second Tesco opened on the site of what is now Argos. Tesco-isation not a new thing then! This takes us to the end of the road, where as is common in many medieval towns, West Street meets High Street at a central trading point, and it continues to Portsmouth as East Street.